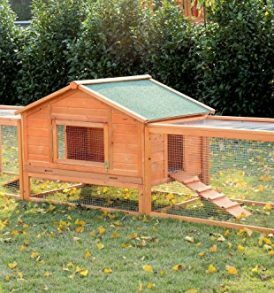 Prevue Pet Products Large Rabbit Hutch 461 provides your rabbit with a safe, secure hutch that they will be happy to call home. 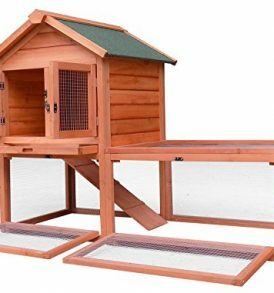 Crafted from a fine weather-resistant variety of fir tree lumber and coated with a protective, non-toxic stain, this rabbit hutch also features a water-resistant roof made of asphalt shingles and is designed to protect your pet from inclement weather. 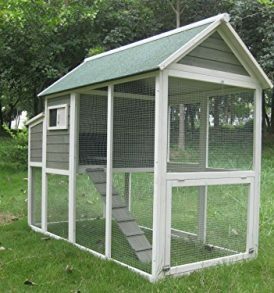 Our thoroughly constructed design has an open floor plan that connects to an adjoining, private nesting box area, removable interior divider walls, a fold-down entry ramp plus a foot-friendly removable bottom grille. Additional security features include a lid latch and double door locks on the front wire cage door. 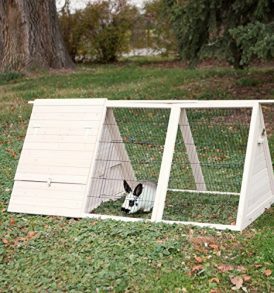 Ideal for housing larger rabbits, our Large Rabbit Hutch 461 measures 46-1/2-inch Long, 24-inch Wide and 36-1/4-inch High. 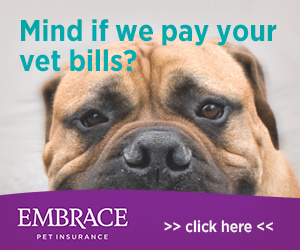 To maintain the longevity of your purchase, we recommed that you periodically treat it with a non-toxic sealant, and protect it with a tarp or other covering during extended periods of inclement weather. 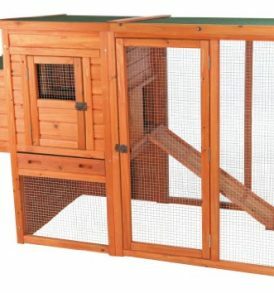 Prevue Pet Large Rabbit Hutch Playpen Extension 461PEN available separately.